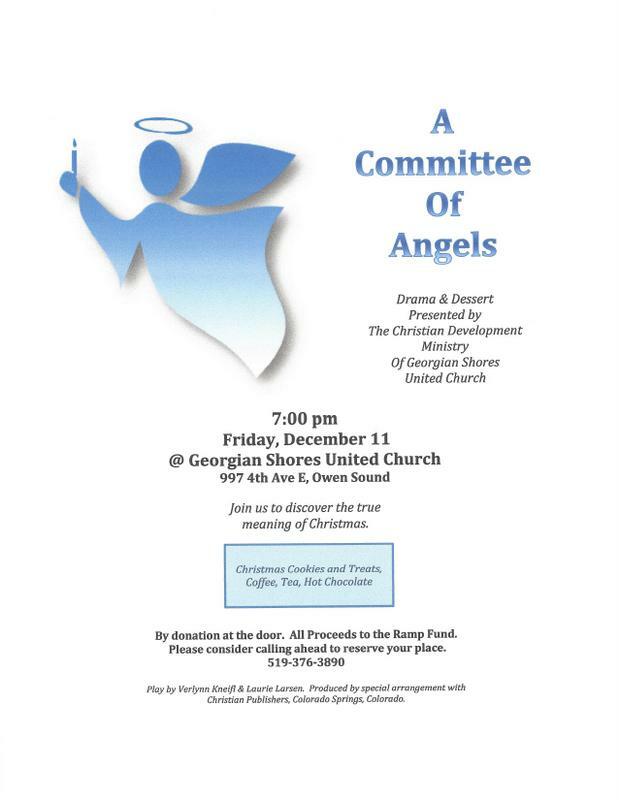 Everyone is welcome to attend the Christmas drama A Committee of Angels on Friday, December 11 at 7 p.m. This drama is suitable for all ages. The participants in this drama range from young children up to adults. This is a fundraising project of the Christian Development Ministry. Join us to discover the true meaning of Christmas. Spread the news about this event. Admission is by donation payable at the door. Please consider calling ahead to let us know that you plan on attending. Our telephone number is 519-376-3890. Christmas cookies and treats, coffee, tea, and hot chocolate will be served.